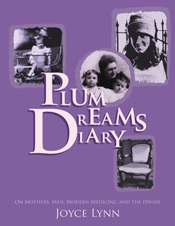 Art and dreams are conduits to truth, paths to healing and transformation. Art and dreams wake us to reality and response. That is why I am curating and inviting you to “Wake-Up! 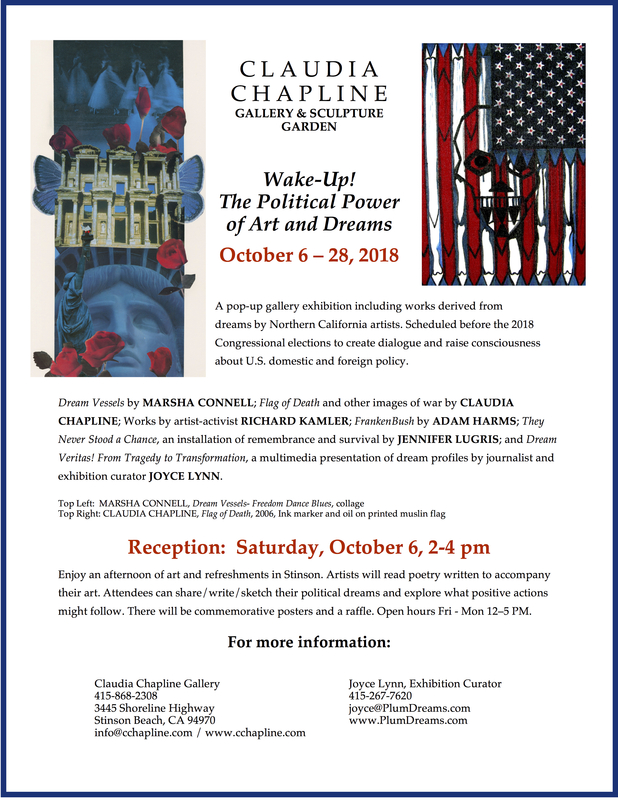 The Political Power of Art and Dreams,” a mixed media exhibition at the Claudia Chapline Gallery, Stinson Beach, California, October 6-October 28, is set the month before the 2018 Congressional elections to create dialogue and raise consciousness about U.S domestic and foreign policy. 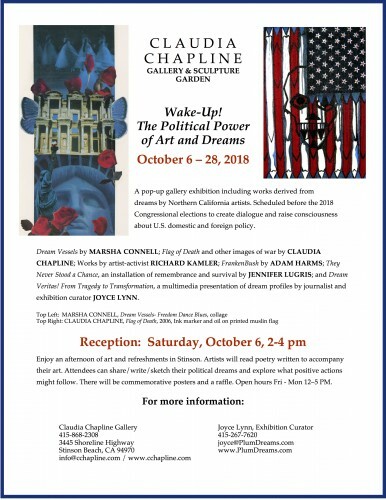 An opening day reception will be held from 2-4 pm on Saturday, October 6. At the reception; attendees will share/write/sketch their political dreams to inspire positive action.